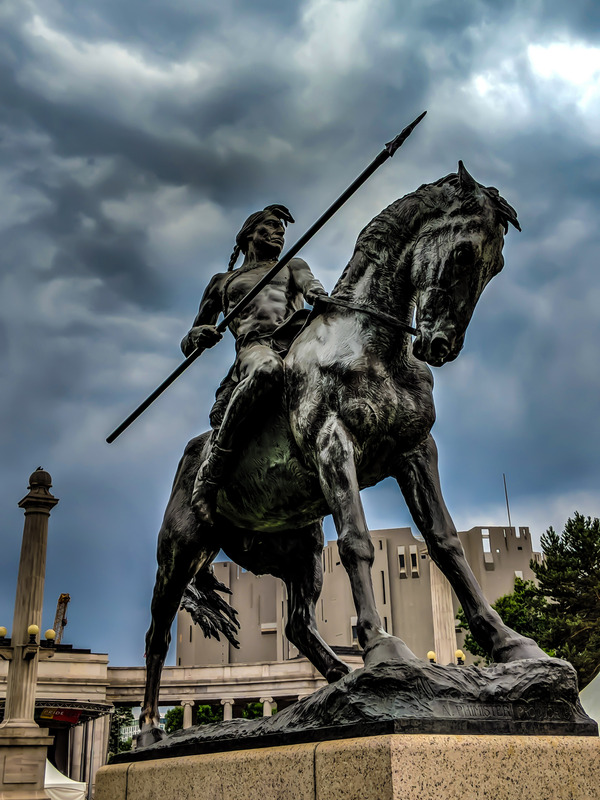 Denver is the capital city of Colorado with a rich history and culture. It is surrounded by green mountains and red rocks. The city is exactly one mile high from the sea level. 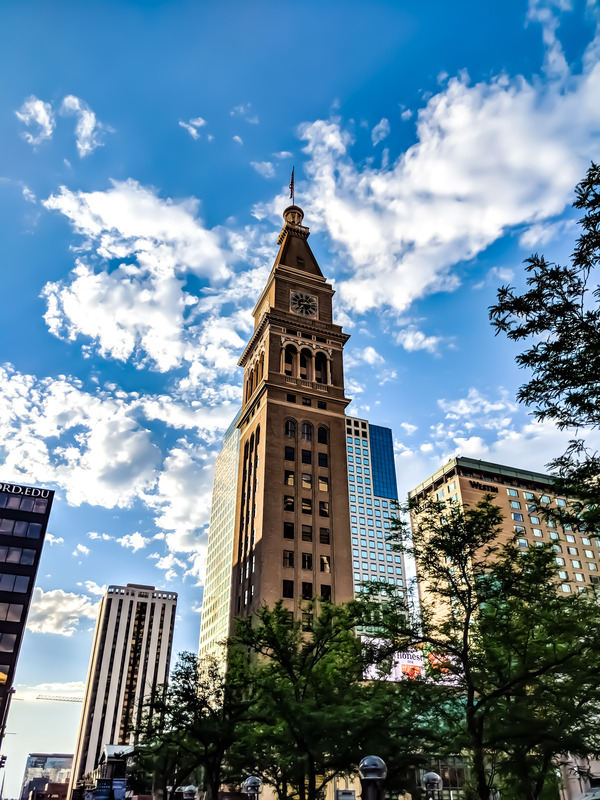 In Denver you can experience all the different weathers at its best .Denver shades vivid colors during fall, white in winter and eventful in summer. And I got to experience the summer. It is a great feeling to wake up in an unknown city with no idea on what to do next. I wanted to keep every thing about this trip totally unplanned. So instead of googling what to do in Denver, I just started wandering through the streets without knowing where to go. After half an hour of mindless wandering, I reached the 16th street. This was known as the mall street and was literally a mall on the entire street. It was more than a mile long and had free buses that circles from one end of the mall to the other. You could see all sorts of people in the streets – the rich, the homeless, the dancers, the musicians, the joggers, the walkers, the window shoppers. But the one that caught my eyes was a veteran on wheelchair, smiling and waving a board that said “Smile, because you can”. This is a street that you should not miss when visiting Denver in summer. The street is designed to attract the tourists. Every wall in alleys are painted with colourful street arts. Pianos are kept in the streets for anyone to try their music skills. You can experience mind blowing performances from artists, musician and dancers by just walking through the streets. This street has a divergent mode of transportation.You could either hop on the free mall bus or take a horse cart if you prefer not walking but no vehicles on the street. Trust me this is the best part of this street . One thing that you should never miss is the famous Denver street food. 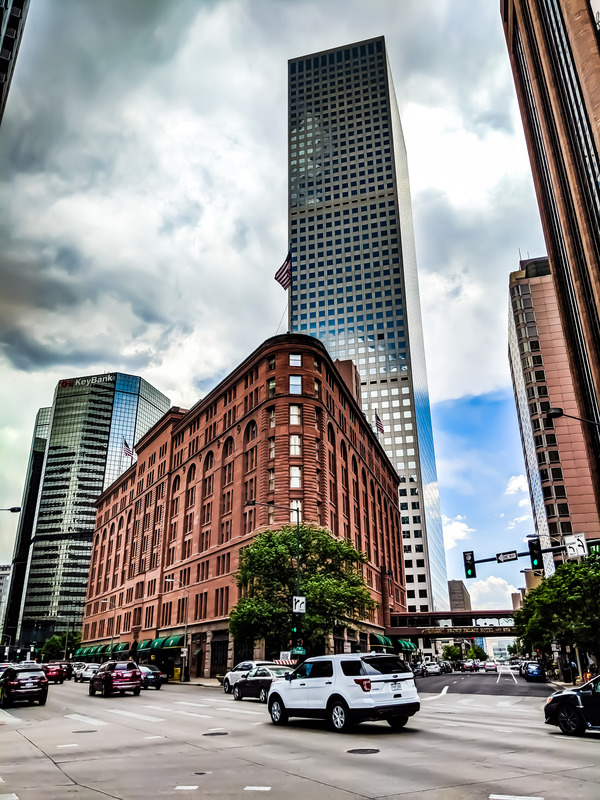 Historic buildings are an integral part of Denver downtown. The Daniels and Fisher clock tower created in 1910 has an observation deck that offers a bird’s eye view of the mall street. But the center of attraction will be none other than the Colorado State Capitol. It tells us the story of cultural and administrative development of Colorado. To symbolize the importance of gold mining in the history and development of Colorado, gold platted metals are used for the interiors of Capitol which make the the building sparkle. 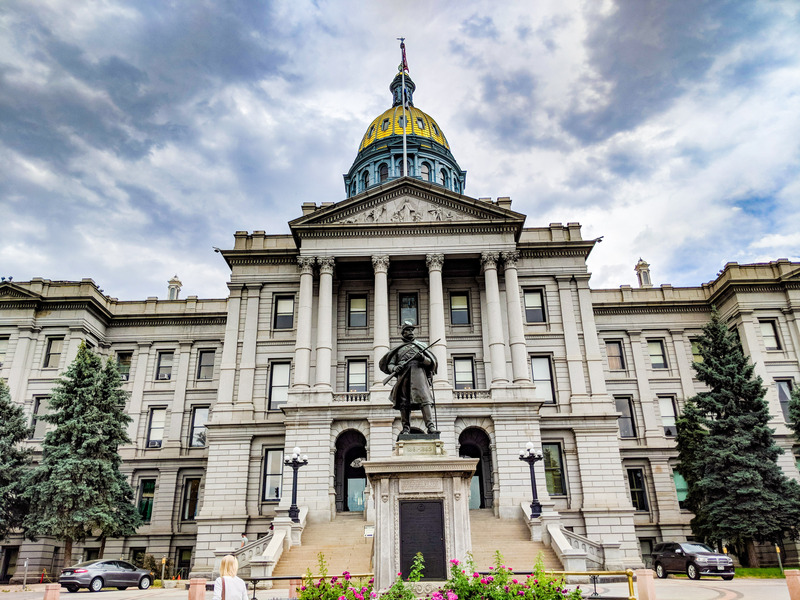 We can take free tours to learn more about the rich culture and history of Colorado, construction and the administrative processes done in the Capitol. 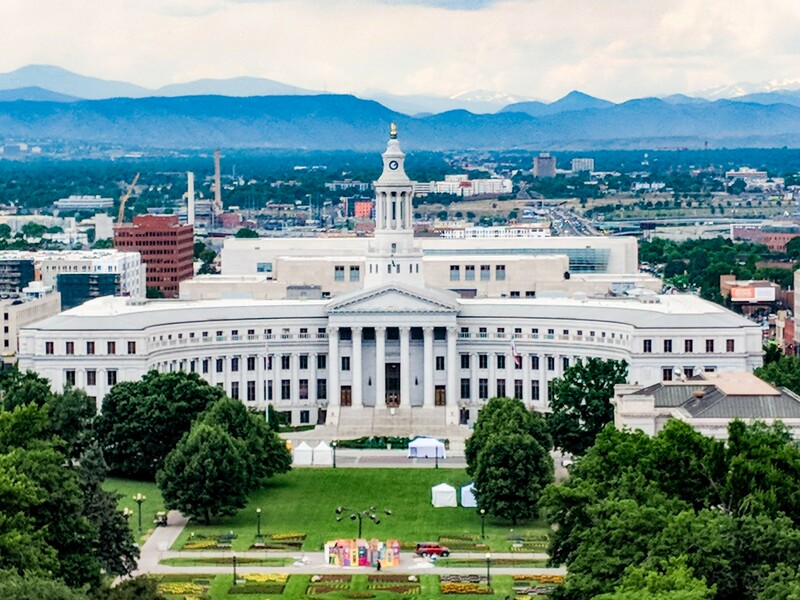 But the picture that won’t go easily from your mind is the view from top of the dome – the entire Denver downtown in one frame which is surrounded by the mountains. 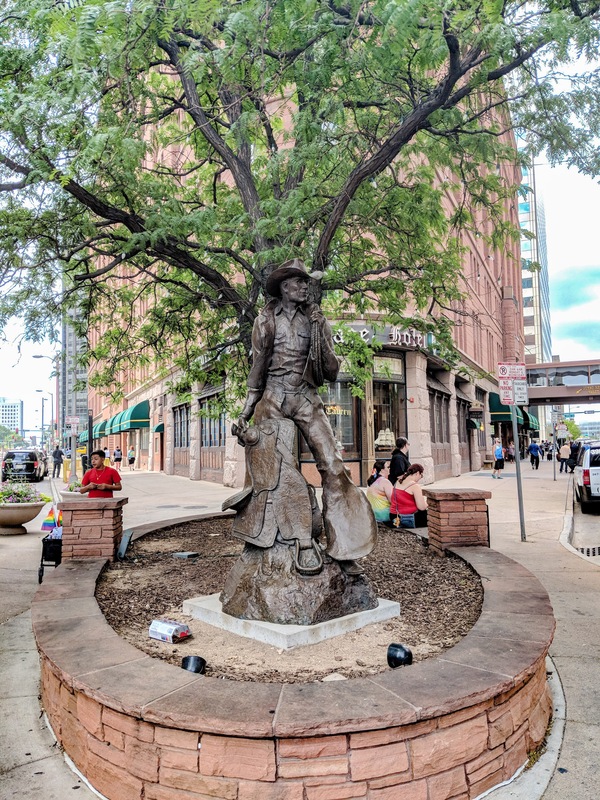 Some other breath taking attractions in downtown includes Civic Center Park, various Museums like Denver Art Museum and firefighters’ museum, Denver city council, Downtown aquarium, Denver Zoo, Coors field, Mile high stadium, Elitch Gardens, Botanical garden Confluence Park and the famous Brewery tours. Along with these, downtown is full of statues, parks and street arts which adds up its beauty. Luckily that was the week of DC Comic Con in Denver. Along with all the celebrities and merchandises, the 3-day event in the Colorado Convention centre was filled with fans dressed up as their favourite comic characters. The best way to experience Denver downtown is by renting a scooter. Even though the 50cc colourful scooters are banned on the highways it is the perfect way to commute through the busy streets of Denver where finding a parking spot for your car can be like finding needle in a hay stack. But I used the scooter for a different purpose – to wander the mountains. Yes, that’s right. The mountains. It might sound crazy to you, but I can assure that it was a lot crazier than it sounds. Denver is surrounded by mountains at all sides. It is a perfect spot for skiing at winter times. It also has a heavenly touch of greenery during the summer time and is one of the best spots for hiking and off-road adventures. The most famous one is the Rocky Mountains which is a 2-hour drive from the downtown. I headed to the nearest mountain which was accessible without slipping into any highway – The lookout mountain. It took me an hour to reach the historic town of Golden which is the gateway to the mountains. But the ride became a funny experience when I saw the puzzled look on the faces of people who saw me racing with cyclists on a scooter that goes at a top speed of 35 miles per hour through the green meadows of Colorado. The pleasant feeling of the breeze over my face suddenly changed to a chilly sensation as heavy rain started dropping from the sky. I was in the middle of nowhere with nothing but a plastic rain poncho over me . The change in temperature was so sudden. I had not checked the weather as part of being “off the grid” for the weekend and this flashed me the importance of technology in life. The road was twisted and had a lot of hairpin curves which was a heavy task for my scooter that was going at a record speed of 5-10 miles per hour up hill. I reached the top of the lookout mountain wet and frozen, but it was worth the craziness. The view was breath taking and I decided to go forward with my scooter trip as I had no other choice. There was nothing out there,no food, no stores, no shelter, nothing.But the majestic nature at its royalty. 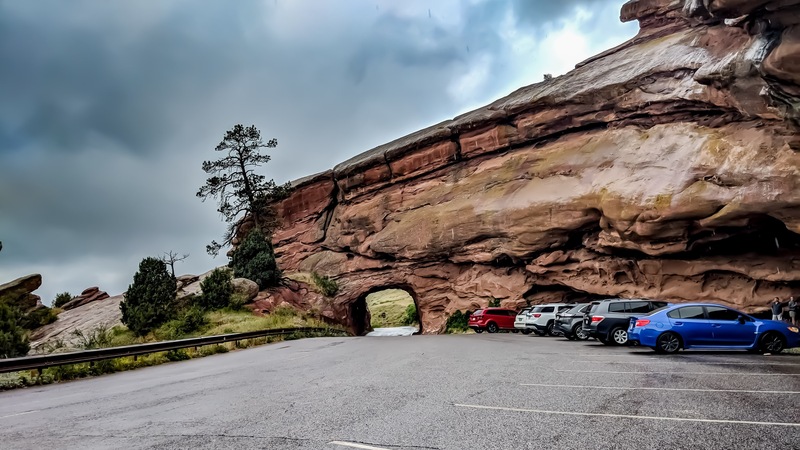 My next destination was Red Rocks Amphitheatre. To avoid the highways, I took a shortcut. But somewhere in the middle, I took a wrong turn which took me through some mesmerising green valleys which is no where found in Google . I had to come all the way back to the top of lookout mountain to get back on the road from that dead end. The ride to the Red Rocks was colder and longer. 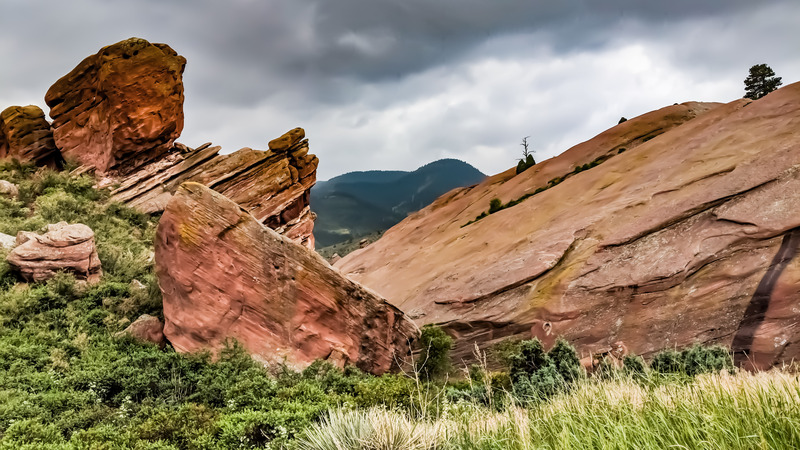 But upon reaching the Red Rocks, I forgot about all the hassle that I went through. The mixture of green and red mountains was a spectacular view. By the time the rain had stopped and I reached back downtown – starving, wet and frozen. But that was an unforgettable and crazy experience. All the starving, dripping and freezing turned out to be a worthy one. There are a ton of activities from hiking to rafting and off-roading if you go there in summer. Have a plan before your trip based on your taste or enjoy what comes your way when you go for an unplanned one like me. Do not miss the mountains nearby but keep in mind to take some food with you. There is no stores once you go beyond the boundaries of the town. 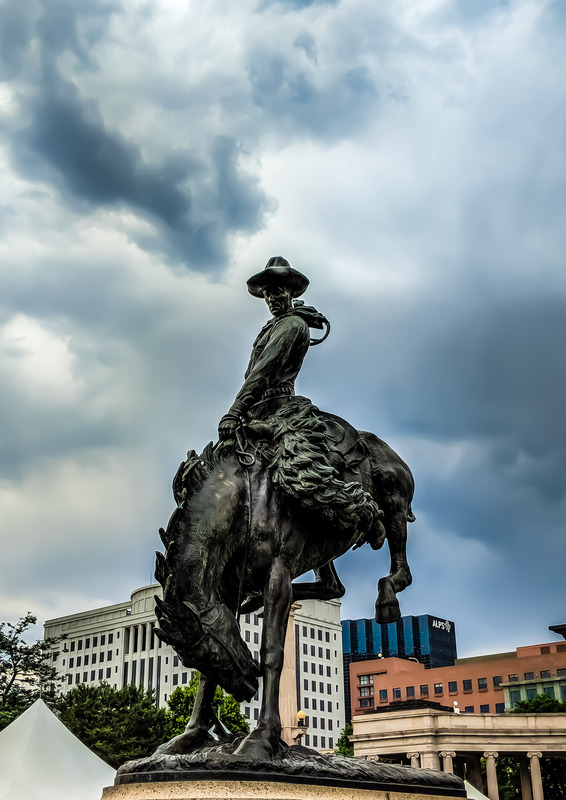 Denver is different in all weathers.Activities and attractions also depends on the weather. In summer, the best way to commute through downtown is to rent a scooter. You just need a car license and cycle balance to ride one of these. Get to the airport at least 2 hours before your flight boards. The airport can become very crowded and eventually making the process slow. I missed my flight by 5 minutes even after reaching the security check 1.5 hours before my flight. Finally, this is not just a weekend getaway. It has everything – history, art, culture, music, food, drinks, greenery, mountains, snow and a lot more. Have a good plan beforehand to experience the max in the time you have. Enjoy!! !